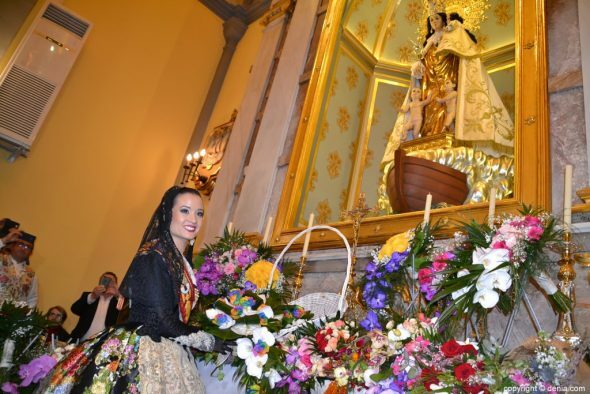 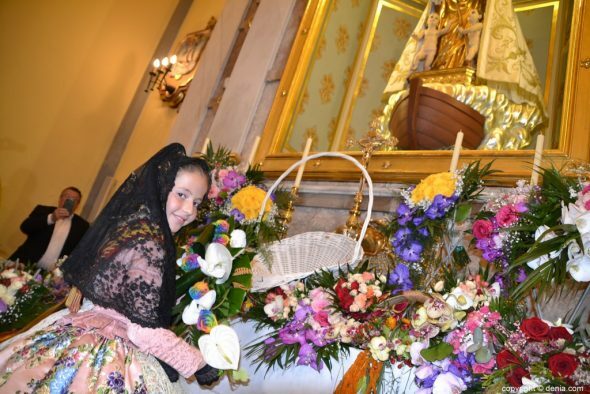 The Church of San Antonio de Dénia marked the end of the route of the offering of flowers of the morning of San José in the failures from Dénia. 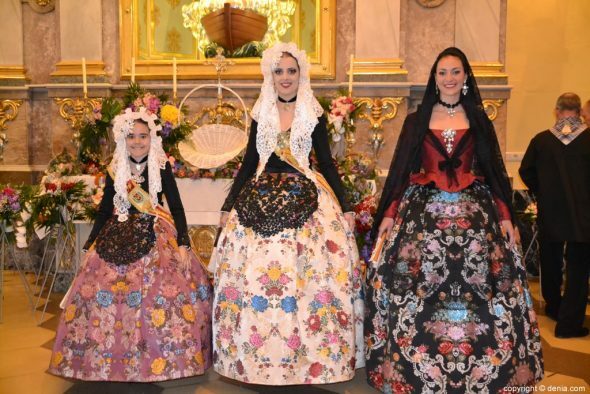 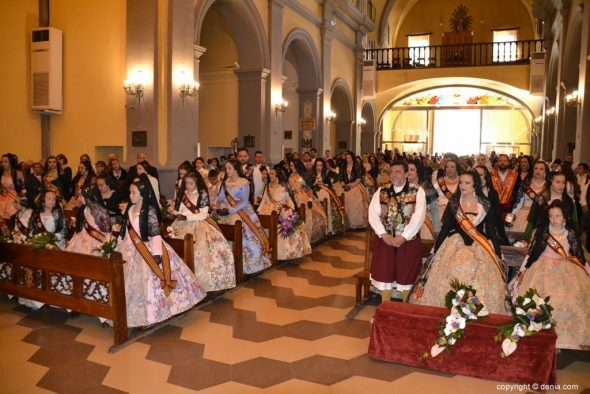 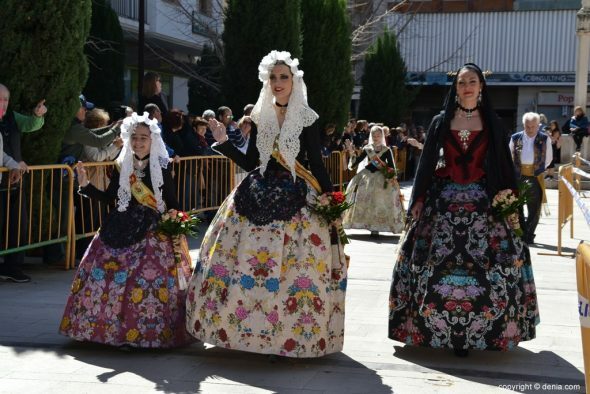 At the doors of the temple, the members of the Comissió de Festes de la Mare de Deu wore the image of the Virgin thanks to the thousands of bouquets of flowers contributed by the falleras. 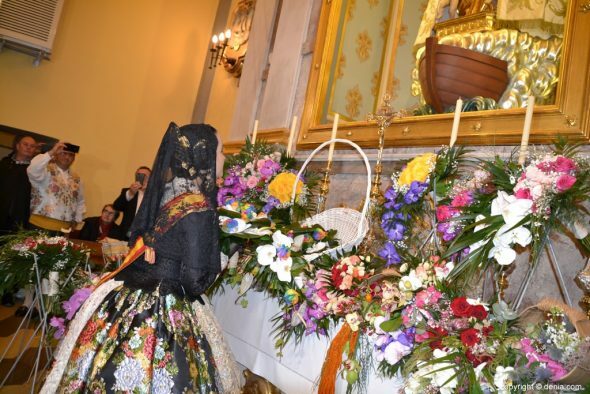 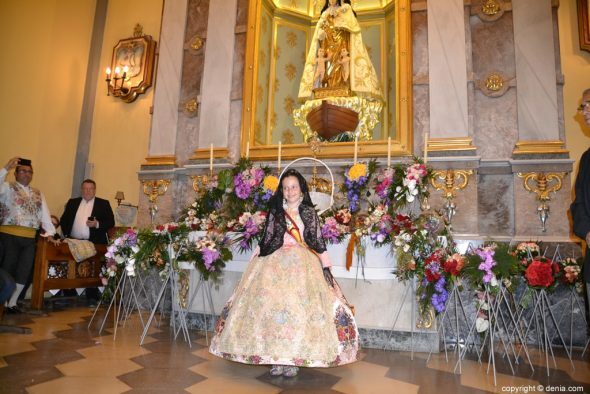 Inside the church, the major falleras of Dénia, Amparo Petrie and Neus Suárez, as well as the rest of the major falleras of the dianenses commissions, made delivery of their bouquets to the image of the Virgin located next to the altar. 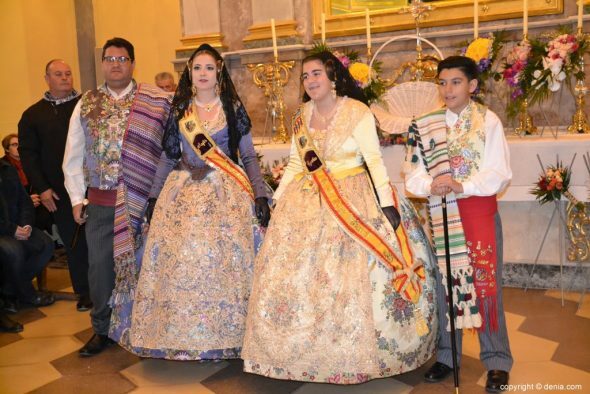 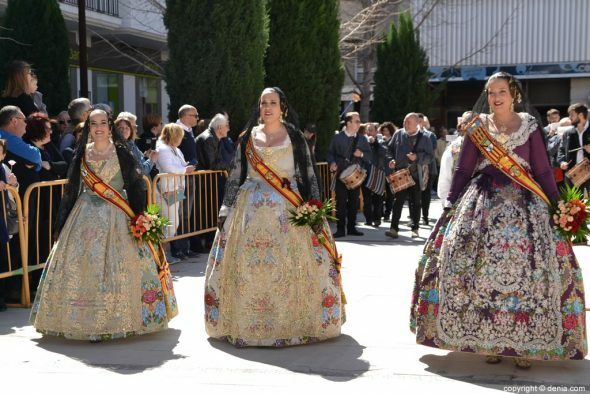 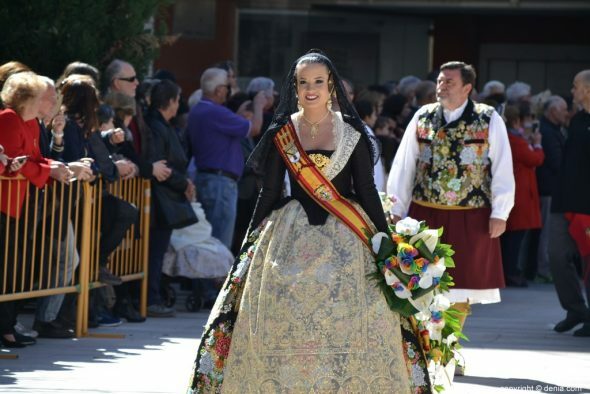 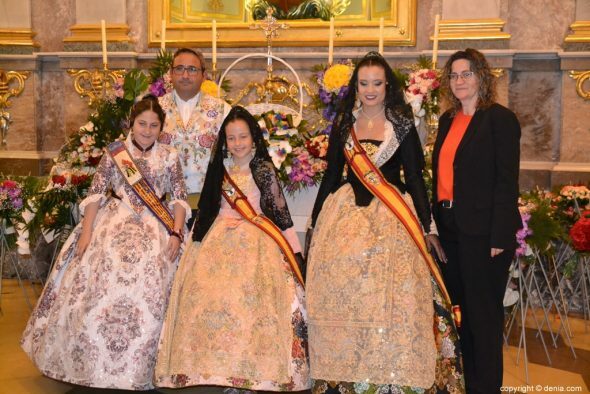 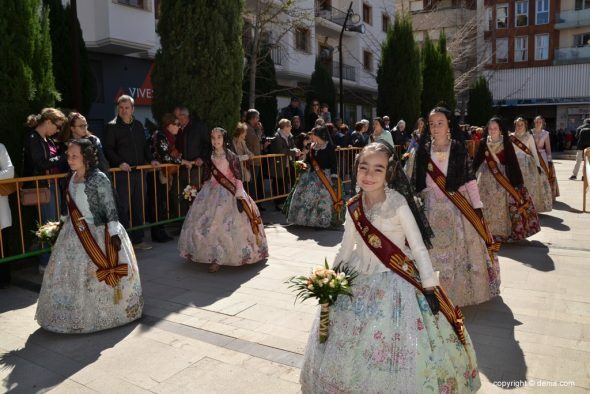 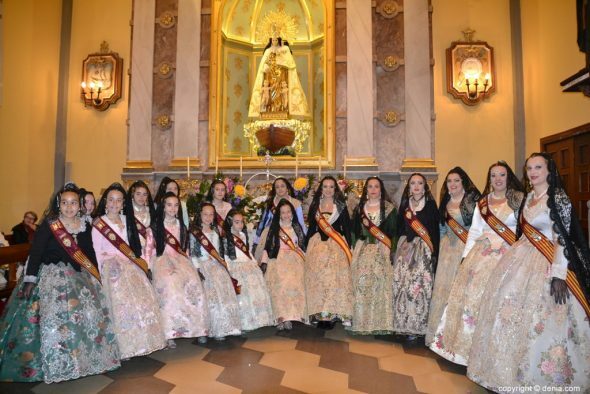 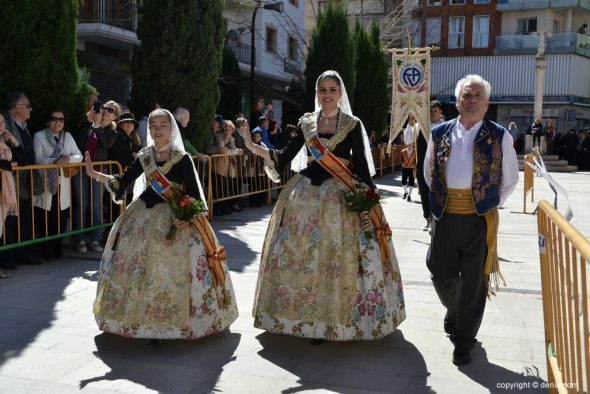 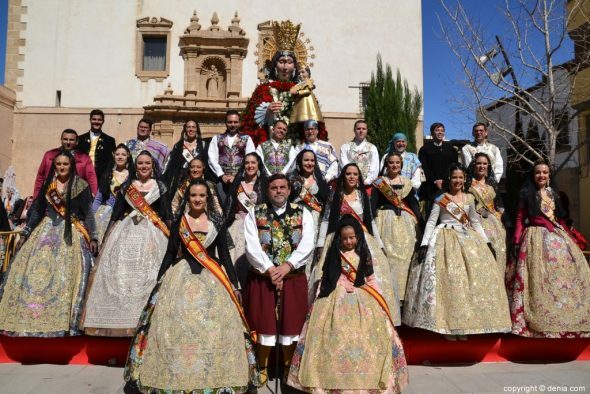 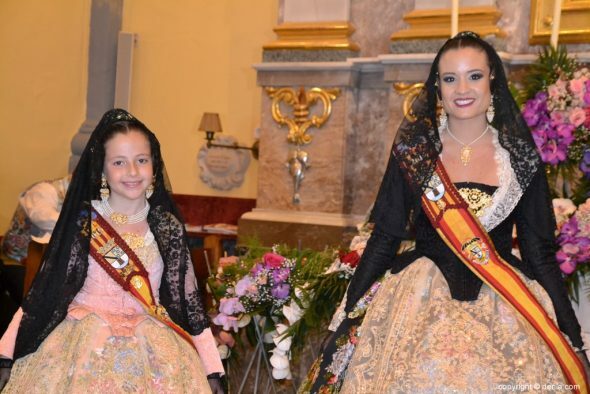 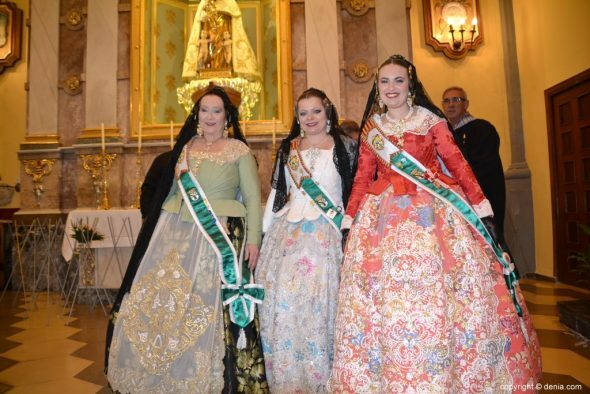 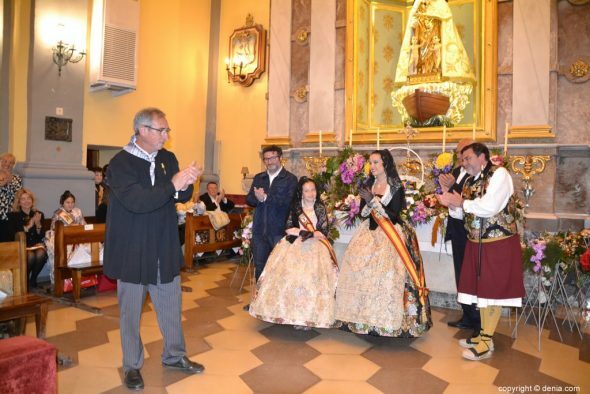 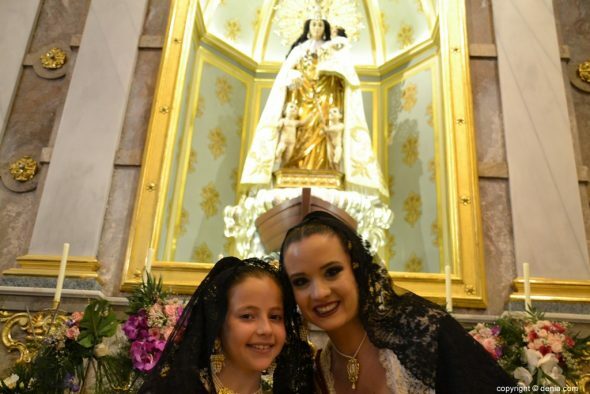 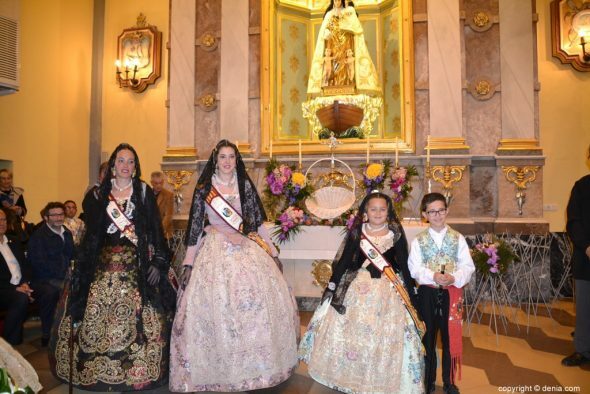 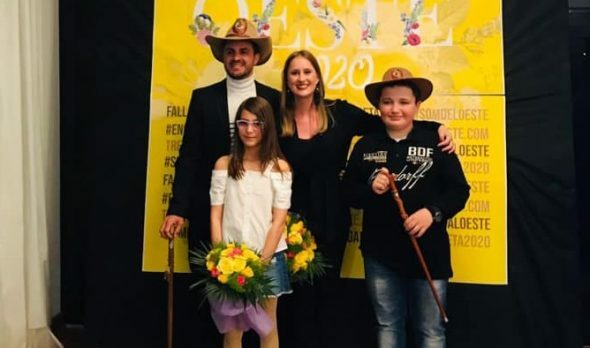 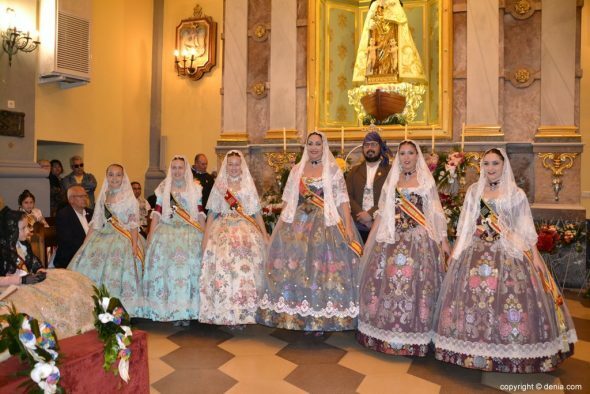 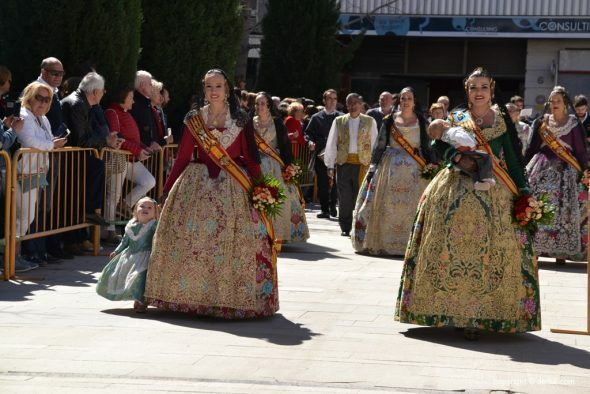 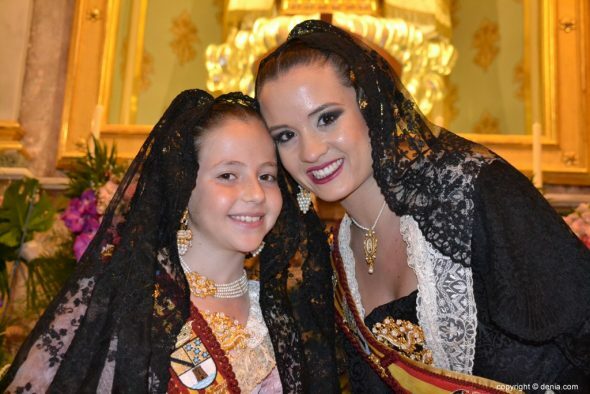 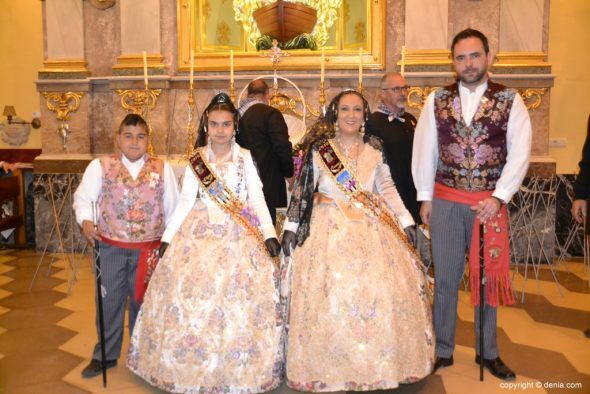 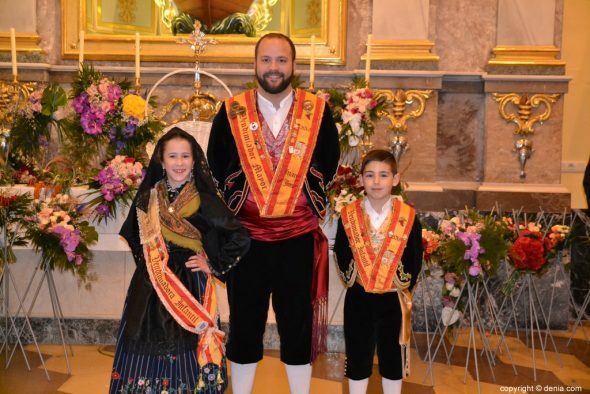 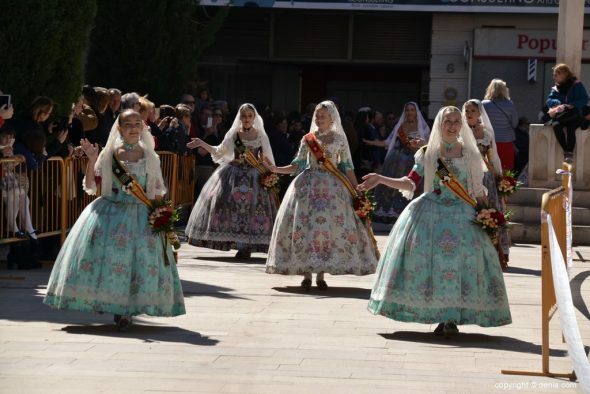 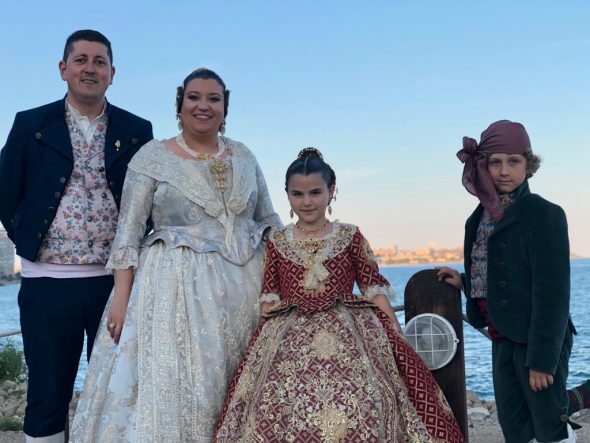 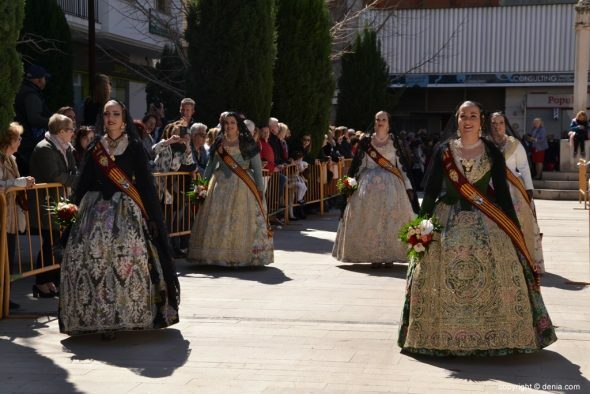 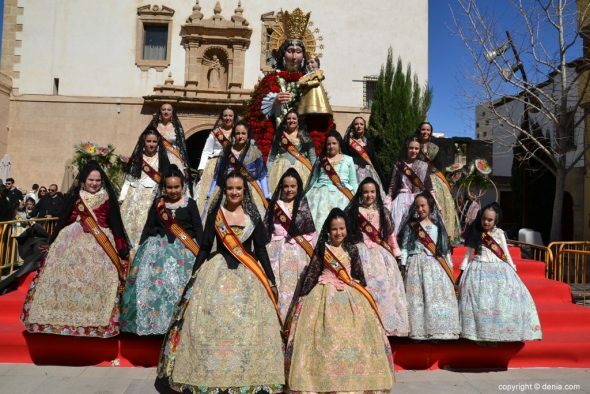 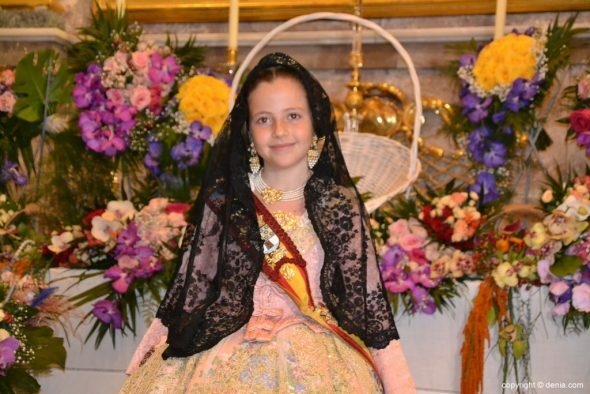 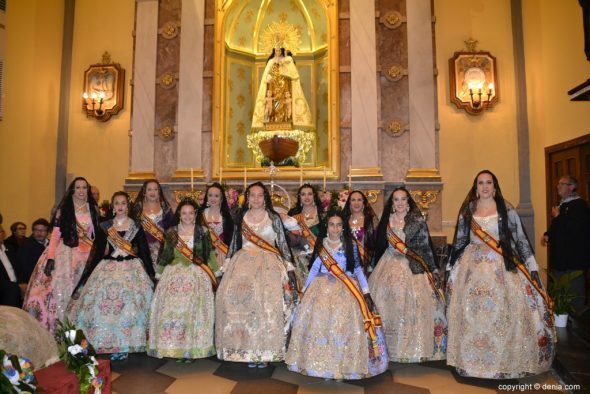 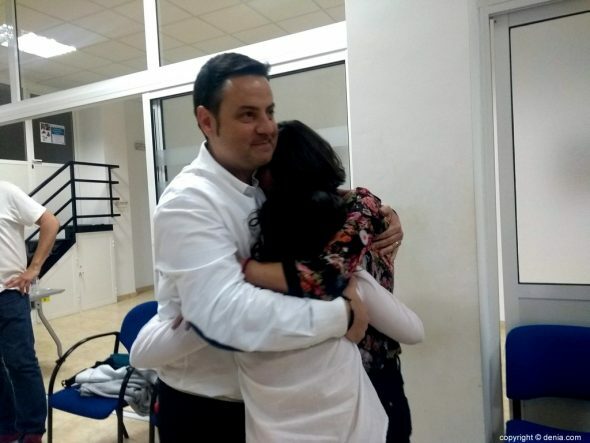 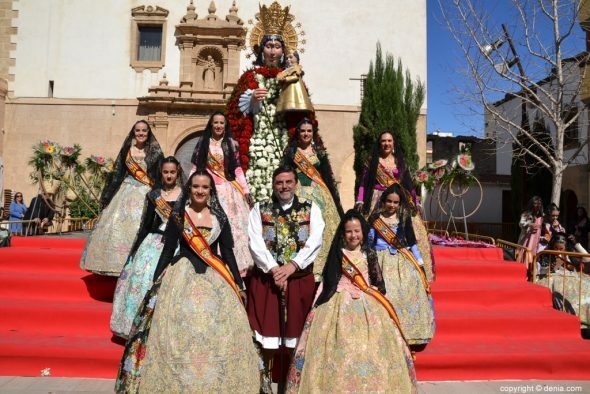 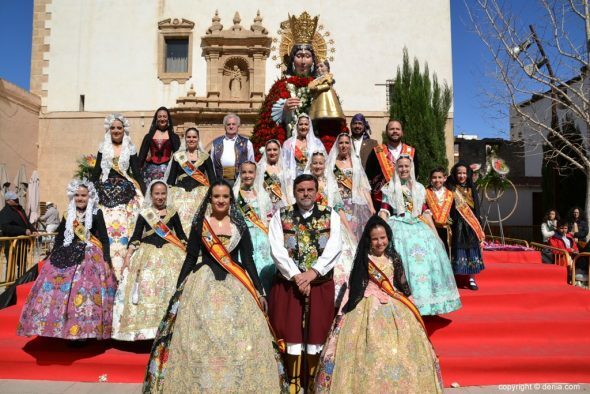 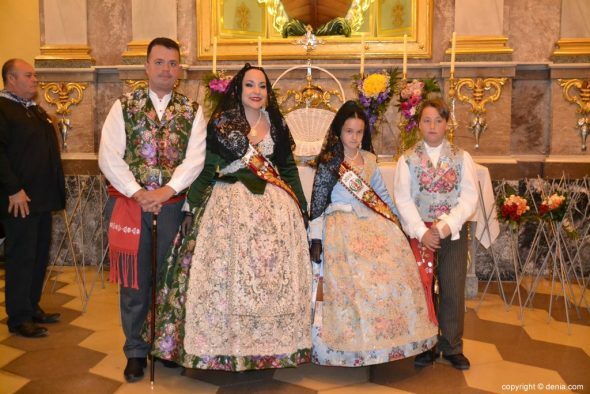 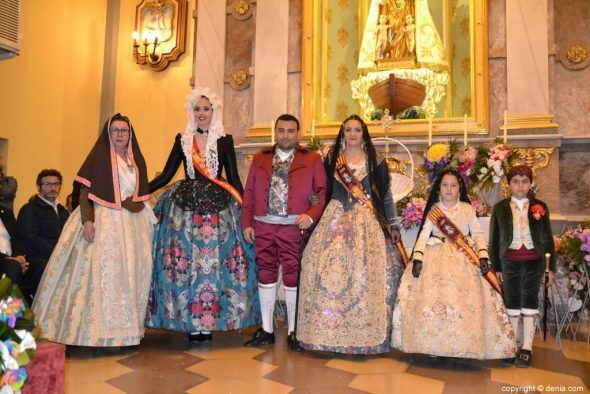 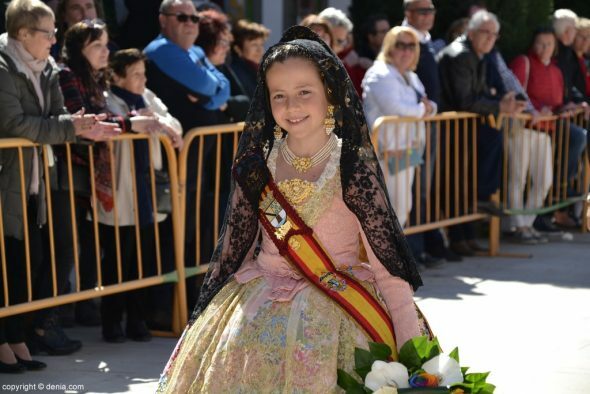 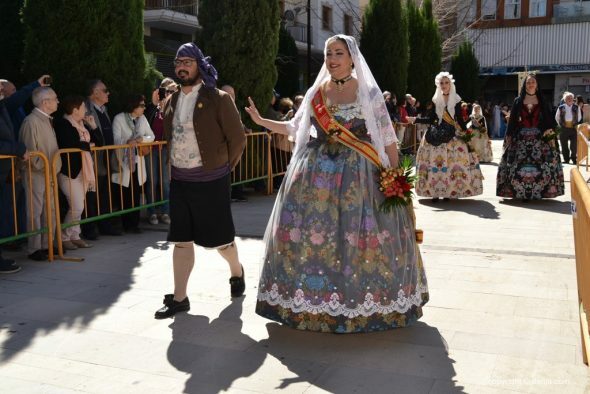 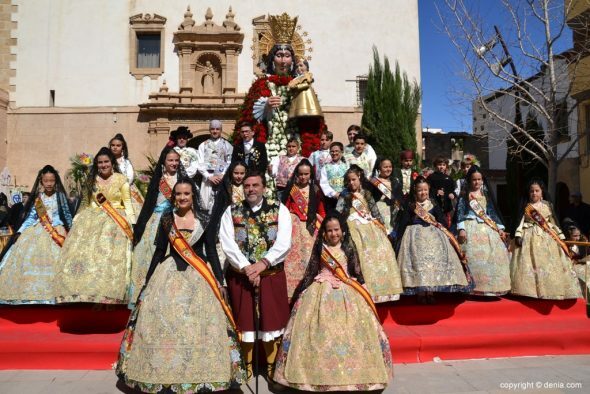 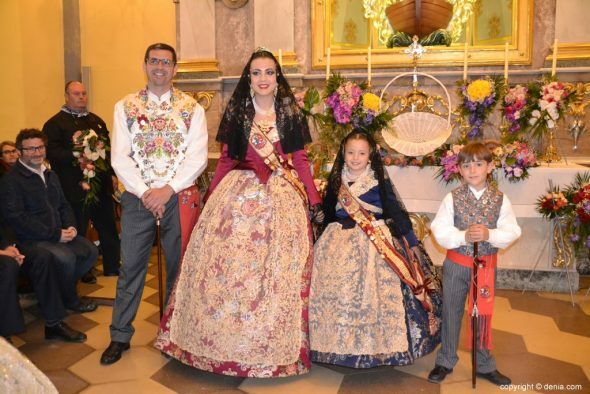 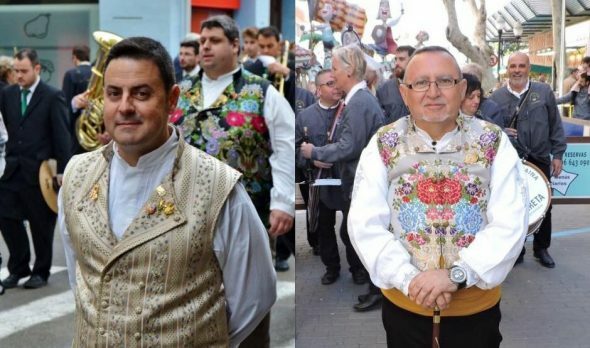 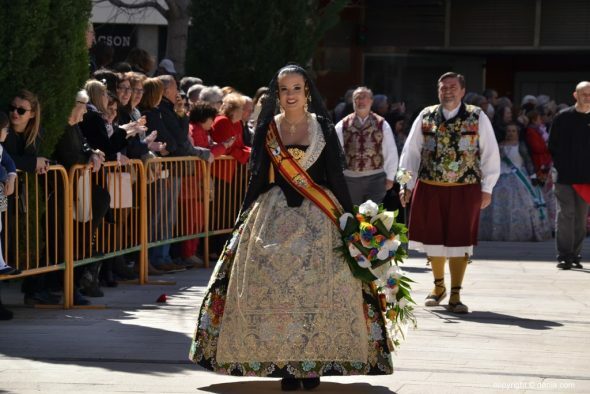 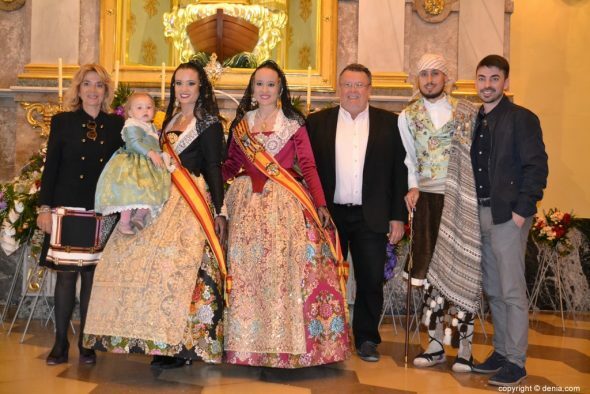 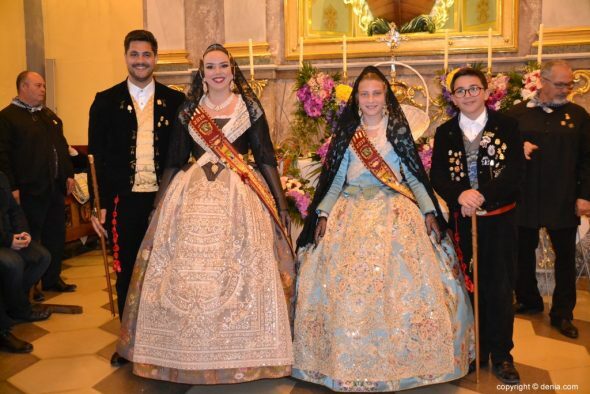 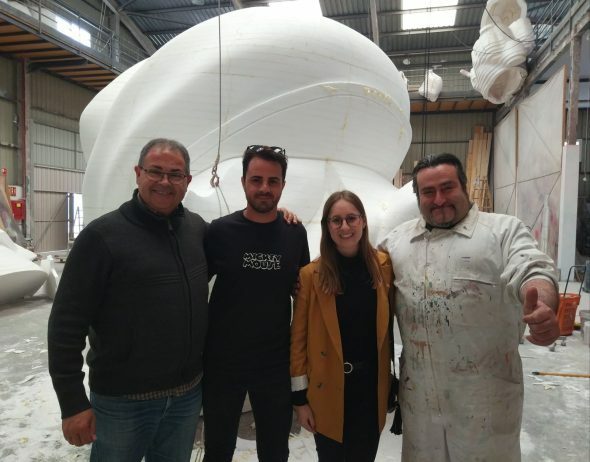 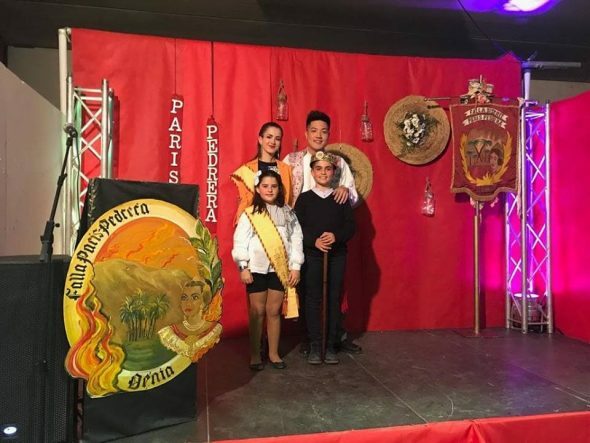 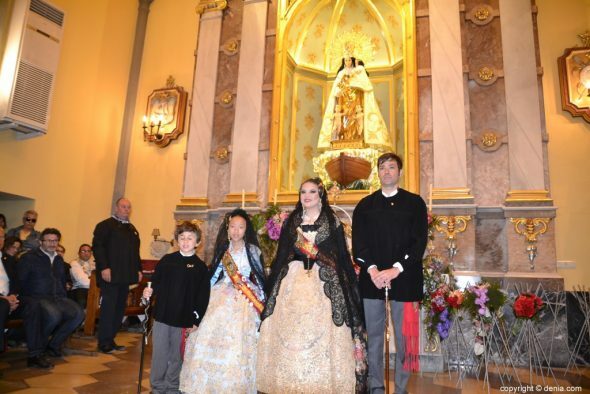 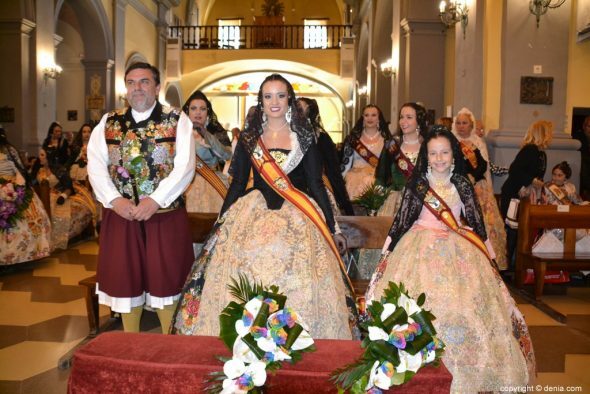 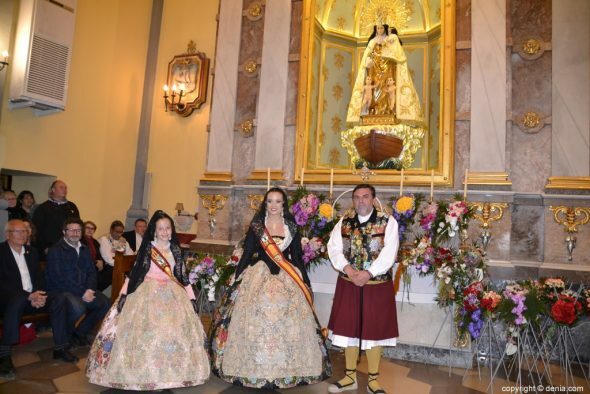 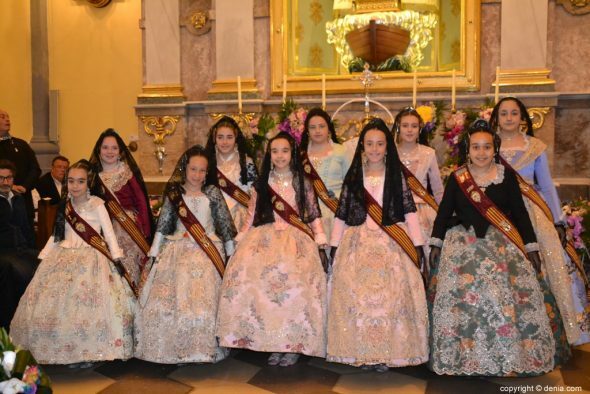 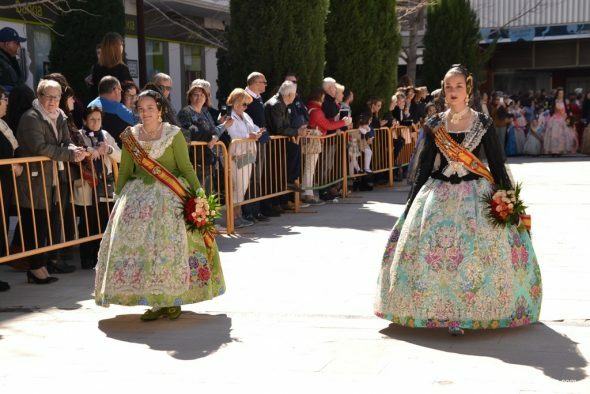 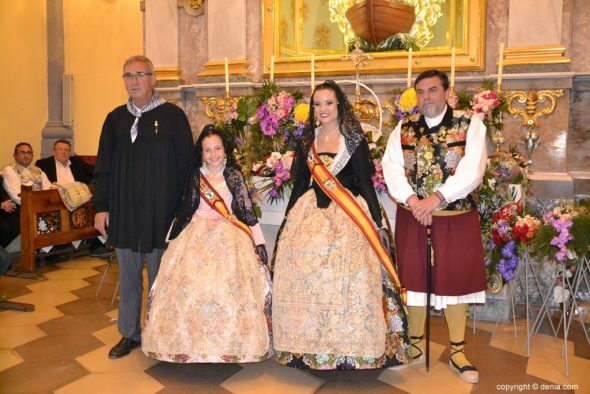 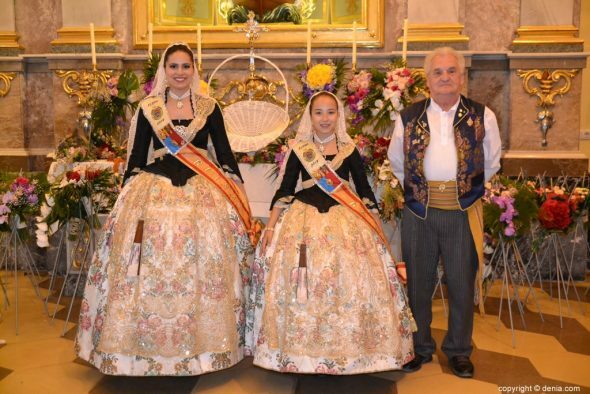 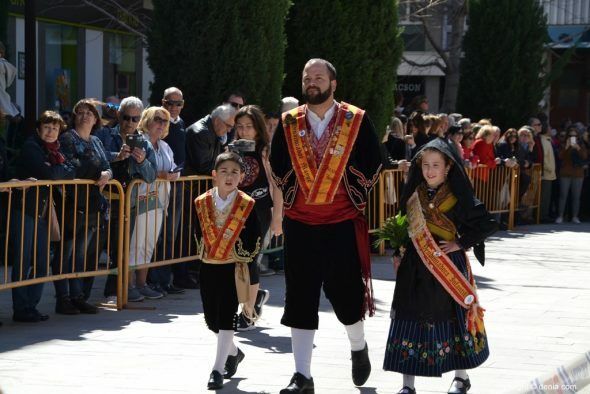 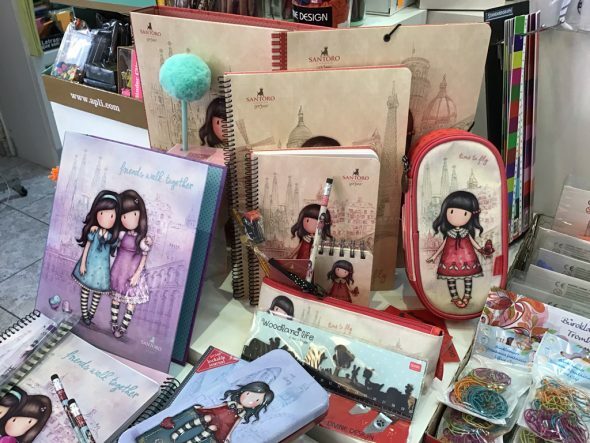 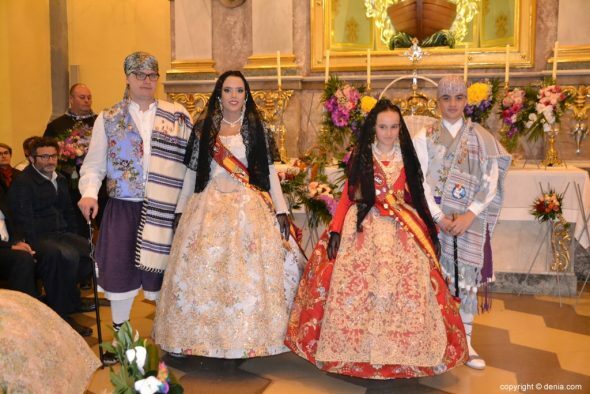 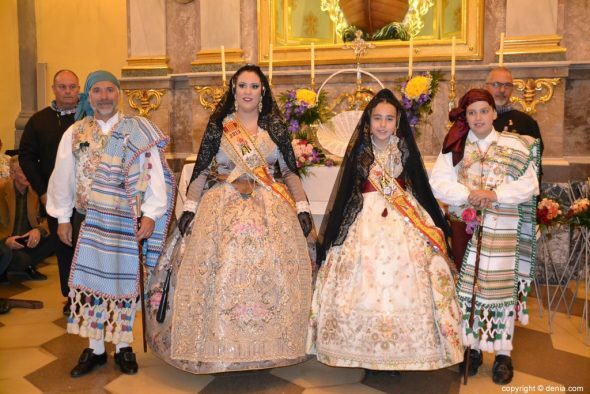 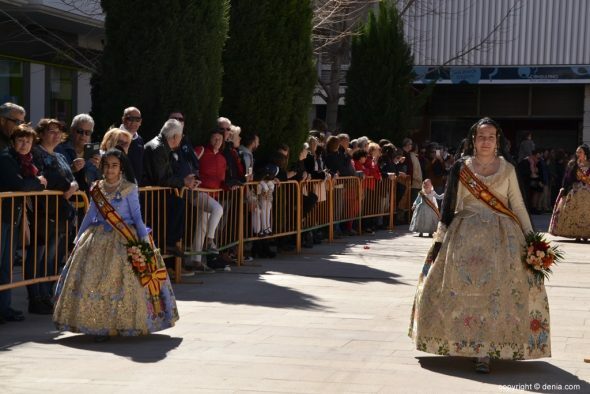 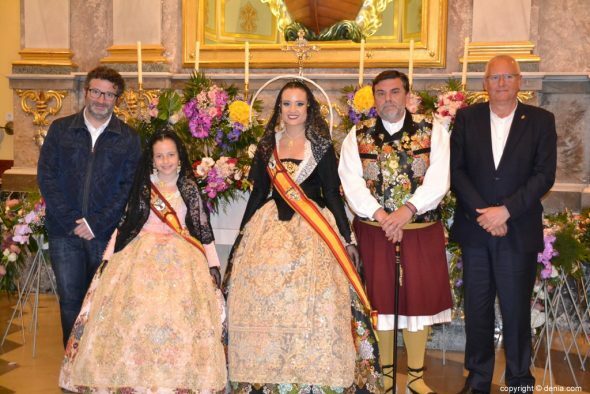 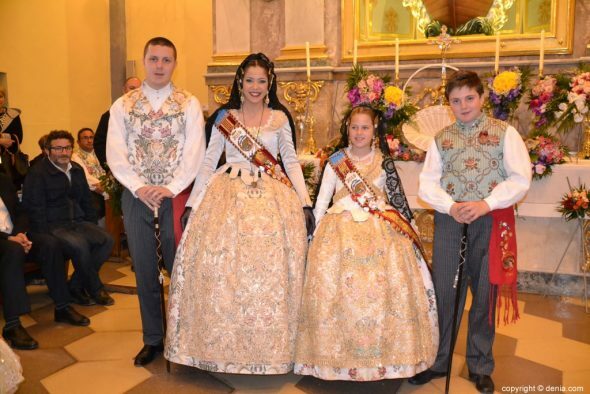 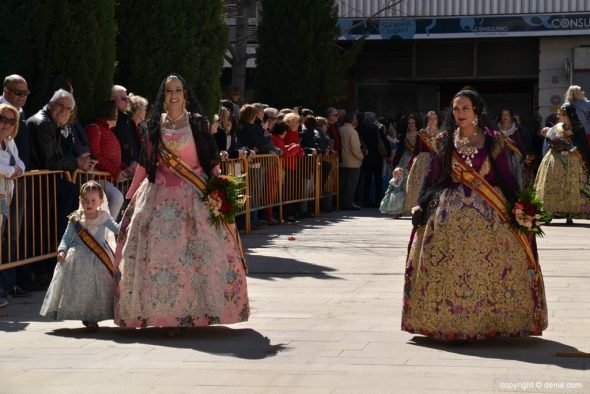 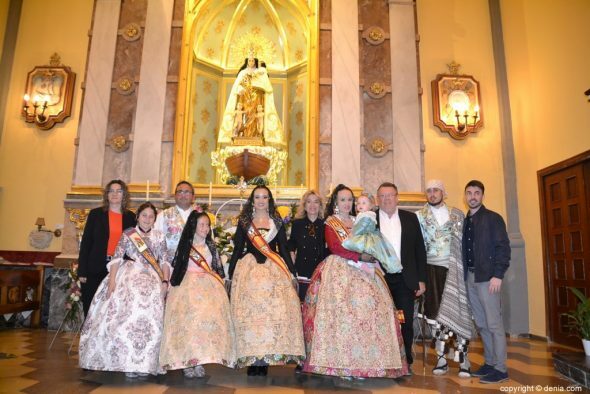 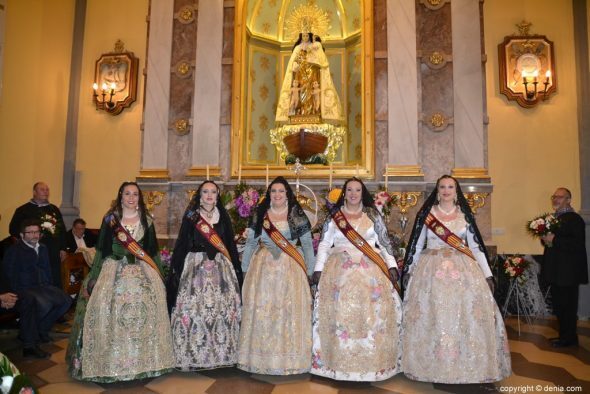 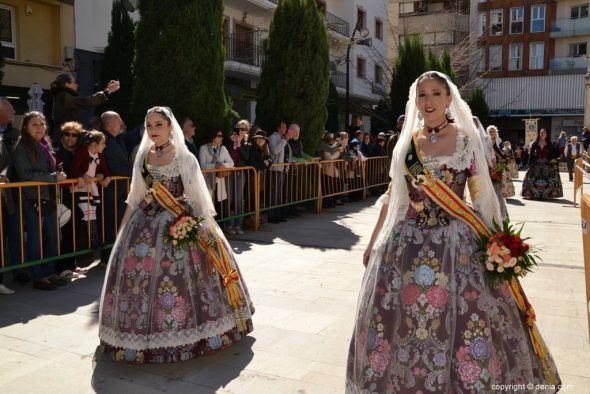 The emotion and the tears merged in an intense day in which neither even the fatigue nor the final stretch of the party managed to erase the smiles of the faces of Dénia's major falleras. 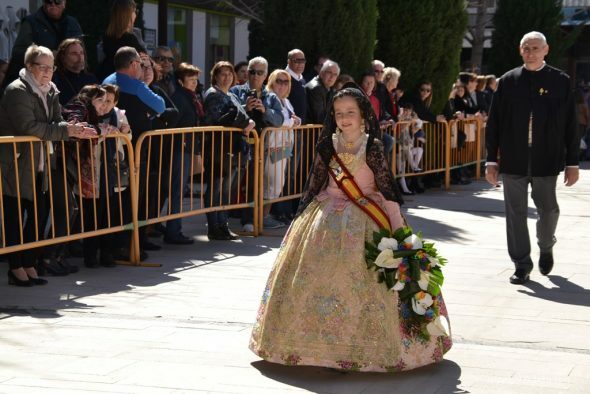 Comments on "Faller emotion at the foot of the Mare de Déu"